2019 – TIDAL is celebrating this year its 20th anniversary. 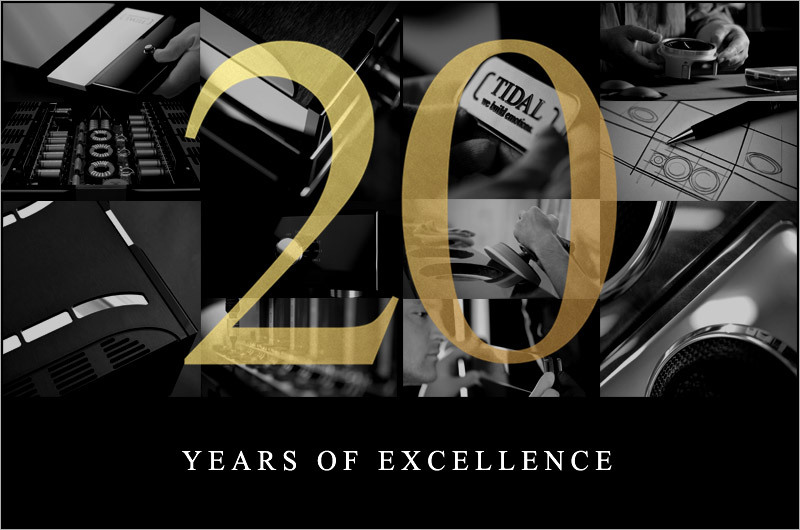 TIDAL does celebrate this year "20 years of excellence"
Founded in spring 1999 TIDAL has established itself over the last twenty years as one of the finest audio manufacturers in the world. Many even claim TIDAL is in a league of its own due its unparalleled combination of the highest possible level in sound, design and finish. What is for certain is the proven consistency in delivering excellence for ears, eyes and hands without any kind of compromise - materialized in unique masterpieces. Not only would we like to say thank you to all our clients and partners worldwide, we will also celebrate it this year with events, limited edition masterpieces and something very special.